BACK TO BASICS | How to dress down a smart trench coat.. Anyone that knows at all knows that i've got quite a masculine taste when it comes to fashion. I love wearing hoodies, jeans and oversized t-shirts - I often find myself shopping the mens section too in all my favourite stores. I'm obsessed with the hoodie and trench coat look at the moment or even the hoodie and blazer look! And grey colours - I'm not sure why but i love grey hoodies and jumpers this season i think they look great with everything but a lot softer than black. 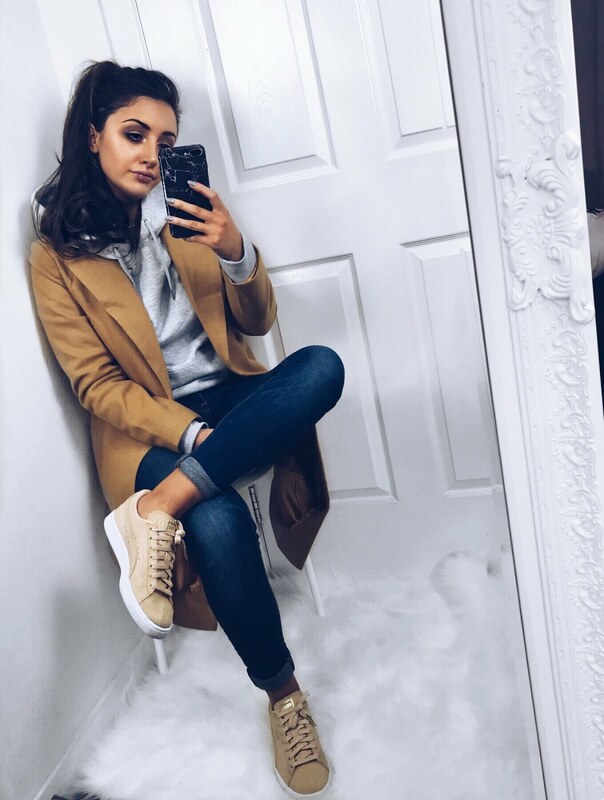 These amazing neutral trainers are now in the sale for only £32! You'd be mad to miss these - i keep getting compliments saying how different they look with the croc print and the colour is so easy to match with anything!